Whitt Carpet One Floor & Home in Salem, VA, makes searching for and buying carpet easier for you. We carry the best carpet brands and products in our showroom for our customers to select from. Our flooring professionals are trained in all features of carpeting, which means you can rest assured that we can help you start to finish with your project. Carpet is well known for its soft, stylish, and comfortable qualities. Learn more about our different carpet options below. Carpet adds benefits to your home like extra comfort and warmth. Some carpets, such as wool, are great for homes with allergy problems because they do not trap dust in their fibers, instead keeping them on top so they can be easily vacuumed. New technology has created stain-resistant carpets that make your life so much easier when the accidental spill happens. Carpet is suitable in home settings where there isn't significant moisture or heavy foot traffic. Popular places for carpet are bedrooms and living rooms. We don't recommend installing carpet in kitchens, bathrooms, or basements. In commercial settings, be sure to choose a durable commercial carpet option. Commercial carpets are stain resistant, and they are built to handle heavy traffic. Carpet fibers determine how your carpet will function. Synthetic fibers like nylon and polyester can be made to be super durable and ultra-plush. Wool carpets have their own special benefits like being flame resistant and sound absorbing. Piles are the fibers twisted up. There are cut piles, loop piles, and even cut and loop piles. Carpet has been made easier to clean and maintain which means you have more time to do what you love. You can install it in bedrooms, living rooms, even playrooms and staircases. Be sure to stop in our showroom to see our full collection of carpets. Whitt Carpet One Floor & Home has the brands you love! 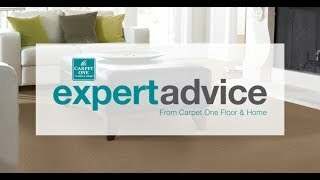 We carry the best carpet brands in the area for you to choose from. Our membership with the Carpet One Floor & Home cooperative gives us the ability to have the purchasing power of over 1,000 stores providing our customers with the most extensive selection possible at a great value. We also carry Carpet One Floor & Home exclusive brands, including Relax, it's... Lees® , Tigressá® SoftStyle, and Innovia Xtreme Clean™. Carpet padding is the foundation to any carpet installation. Having the right pad means your new carpets will last longer. Your carpet is pretty good about telling you when it is time to be replaced. Looks for signs like permanent stains, and be sure to read this page about when it’s time to replace your carpets.